07.06.2017 (Hvino News). According to official data, in January-May 2017, 24.75 million bottles of wine have been exported from Georgia to 41 countries worldwide, that is 64 percent higher than the same period in 2016. In the period under review, 55,52 mil. 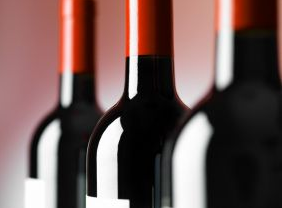 USD worth of wine have been exported, that is 58% higher than the similar data of the last year. “In January-May, exports increased to the European Union, China, USA and other traditional markets. We hope that the rate of export increase will be maintained in all directions,” the head of the NWA Giorgi Samanishvili said. The top importers of Georgian wine during this period were Russia (14,820,976 bottles), China (3,234,144), Ukraine (2,364,112), Kazakhstan (2,364,112) and Poland (978,360). In addition, during the five-month period 5,521,594 bottles of brandy were exported to 17 countries, 66 percent more than in 2016. January-May brandy exports this year amounted to $13.3 million, which is 73 percent higher than the earnings for 2016. In total, export income for alcoholic drinks this January-May amounted to $100.8 million, or a growth of 64 percent, compared to the same period in 2016.